Library card or photo id required. Computer sessions automatically default to two hour, with the option to extend for an additional hour at a time. Children under age 11 must be under the direct supervision of a responsible person 16 years of age or older while accessing the internet. CD-R may be purchased for $1.00 each and USB drives may be purchased for $5.00 each. Proceeds are donated to the Friends of the Library. Black & white copies are $.15/ side. Color copies are $.25/ side. There are 5 laptops available for adults to be checked out for IN LIBRARY USE ONLY. Library card or photo ID is required to be checked out. 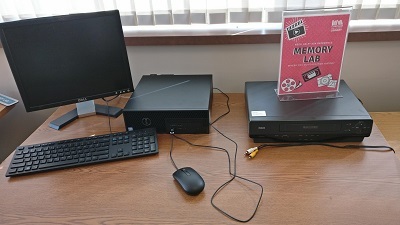 The Library has an in-house laminator in the Computer Lab. 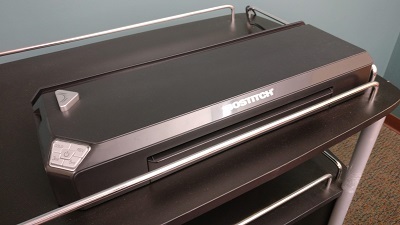 Patrons are able to laminate projects up to 8x10 for $.50/page. 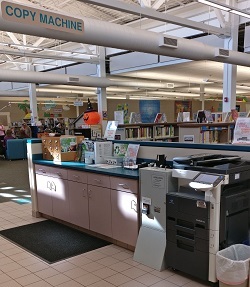 The Library offers self-serve access to black & white copying in front of the circulation desk. Color copies are $.25/ side. 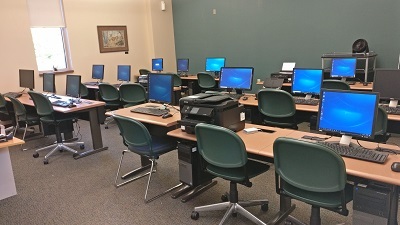 Color copies can be made in the Computer Lab. 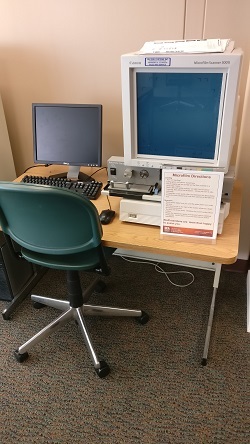 A microfilm reader/printer is located in the Opal Lee Chatham History and Genealogy Room. You can save digital images to the computer, email or USB drives. 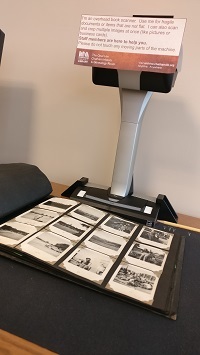 Printing from the microfilm reader costs $.15/ side for black & white copies. 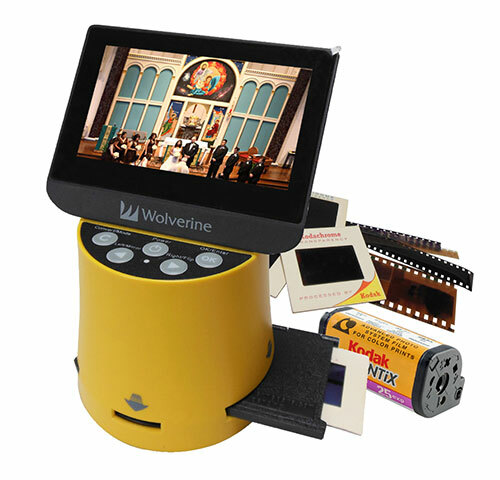 Newspapers and other resources on microfilm can be requested from other libraries through Interlibrary loan (ILL). All you need to do to contact the Reference Librarians at [email protected] or 217-483-2713. We ask that you make an appointment with the Reference Desk by emailing [email protected] or calling 217-483-2713 before you come to the Library to use anything in the Memory Lab. You can schedule time at multiple stations at a time.